"Fair Use: Understanding and Avoiding the Common Pitfalls" with guest speaker Joel Londrigan, University of South Florida Associate General Counsel. RSVP for "Fair Use: Understanding and Avoiding the Common Pitfalls"Are you planning on joining us February 24th at 2pm for Joel Londrigan's presentation: "Fair Use: Understanding and Avoiding the Common Pitfalls?" Let us know! Fair Use week is a community celebration of fair use coordinated by the Association of Research Libraries. Each day teachers, students, researchers and consumers benefit from copyrighted information because of the fair use exception in the United States copyright law. 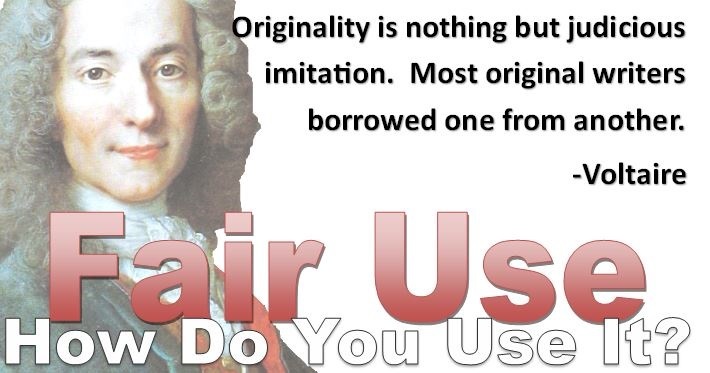 ARL's Fair Use website includes resources and testimonials from participants of fair use week. Co-created various comics on the history of fair use in the United States with artist Jackie Roche and librarian-lawyer Kyle K. Courtney for Harvard Library’s Office for Scholarly Communication’s Fair Use Week. February 2015 & 2016.